In January, I was very pleased to learn that Louise Borden and her book His Name Was Raoul Wallenberg had been named winner of the 2013 Sydney Taylor Book Award for Older Readers by the Association of Jewish Libraries. The Sydney Taylor Book Awards are given annually to those outstanding works that authentically portray the Jewish experience. Born into a relatively well-to-do family of bankers in Stockholm, Sweden in 1912, Raoul Wallenberg was always excited and curious about everything and his endeavors were encouraged and supported by his family. At age 11, he traveled alone from Sweden to Turkey on the Orient Express to visit his grandfather, Gustaf Wallenberg, Sweden's minister to Turkey. And at age 19, he left Sweden to attend college at the University of Michigan, majoring in Engineering. When he returned to Europe, Raoul spent time travelling and as he did, he began to hear stories from Jews who has escaped Hitler's Germany, stories about new laws, beatings and even murder inflicted on Jews by the Nazi government. Raoul had taken a job and was an excellent salesman, helped by his ability to speak different languages. But pretty soon the world was at war. As he watched country after country fall to Nazi occupation, he worried about Sweden's neutrality. Denmark and Norway, close neighbor, had already fallen to the Nazis. When roundups and deportations were announced in Denmark in 1943, Sweden gave permission for Danish Jews to enter the country, saved by the many Danish fisherman willing to sail them there. Swedish freedom and neutrality remained intact. Hungary was also a country with a large Jewish population, but it was not a neutral and in 1944, it, too, became a Nazi occupied country. Roundups and deportations of Hungarian Jews began and many went to the Swedish embassy seeking visas to Sweden. But the War Refugee Board in America wanted a neutral Swede to organize some relief for the Jews in Hungary. Raoul Wallenberg, with his many languages and skill as a salesman, was just the person they needed. Wallenberg devised a legal looking Protection Pass or Schutzpass that were like Swedish passports and protected the bearer from deportation. Wallenberg even created a single Schutzpass that protected whole families. But the Schutzpass, which probably saved around 20,000 people, was only one way Wallenberg worked to help Hungarian Jews. Ironically, the man who worked tirelessly to save Jews, was picked up by the Soviet military in Hungary and on January 17, 1945, he was last seen being driven away in a Soviet car, and was never to be heard from again. The details of Wallenberg's life and the work he did saving Jews in Hungary are all nicely detailed in-depth in Borden's free verse biography of this incredible man. 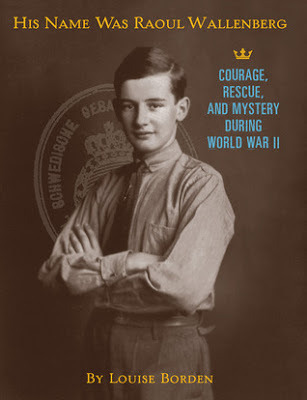 His Name Was Raoul Wallenberg is beautifully put together, divided into 15 sections, each one chronicling a period of Wallenberg's life with a wealth of supporting photographs and other documents that give a comprehensive picture of his life as he grows and changes and even goes beyond his disappearance up to the present. As you will discover when you read the Author's Note at the back, Borden had the privilege of working closely with his family over many years and so had much more personal insight into the real child and man that was Raoul Wallenberg than biographers are generally privy to. And that shows throughout the book. But His Name Was Raoul Wallenberg is more than just a biography, it is a shining example of one man who rose to the challenge at a very bleak time in history and who made a difference in the world, saving so many Hungarian Jews from certain death. Borden has written a book that is a fine addition to the whole body of Holocaust literature and anyone interested in the Jewish experience at that time. Raoul Wallenberg was named Righteous Among The Nations by Yad Vashem in 1963 in Israel. Come back tomorrow for an interview with Louise Borden. This looks like a fascinating read. Can't wait to see it in person! Yes,I found it to be quite fascinating. Hope you enjoy reading Wallenberg's story. You won't be disappointed, Stephanie And if you want to read a great novel about immigrants from Norway, there's an old book called Giants in the Earth. 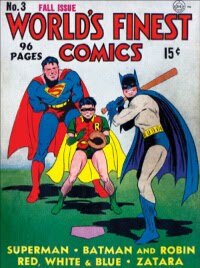 I loved it as a teen. A story like this always makes me wonder if I would have been brave enough to do something so compassionate and proactive. I'll be intrigued to check out the free verse biography! Thanks Alex for sharing and I look forward to the interview. Congrats to Louise Borden for the win! I always think the same thing but then I stop and just hope I would do the right thing in any circumstances. A free verse biography is interesting. Free verse has become so popular not.